I'm curious to learn how to say Blomsterverkstad in different languages. I guess that in English Blomsterverkstad is Flowershop - a place where I work with flowers, not a store, but the room in the back/working area where all the arrangements are beeing done. Can you help me - -in English, French, Spanish, Estonian...in your language! I would be forever grateful and so glad to see how many languages we manage to write down. In English (American) it would be "garden shed." By the way, shame on me, I've been following your blog since I discovered it last month but never left a comment !! ...these would be places to grow flowers, forced bulbs, etc. in pots or flats. In Dutch the place (and the person) where you buy flowers is a bloemist. And to be honest I don't think we have a seperate name for the place in the back where he/she does the flower arranging. So for Dutch go with bloemist (bloem=flower) and your safe. 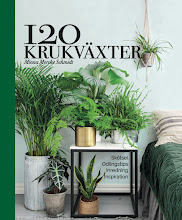 På norsk er det Blomsterverksted, men det visste du kanskje. Ikke så ulikt egentlig. Når man bruker ordet verksted her i Norge tenker man mer på et sted på hvor man reparerer ting som har gått i stykker.. I'm sorry, if you are looking for an EXACT translation, I think it might be "flower workstand" or "flower workstation". But if someone here were to open up a shop, calling it "The Potting Shed" would be cute and appealing, and the other words wouldn't really mean much to people. "Florist's workshop" skulle jag nog säga på Brittisk engelska. I alla fall såg jag din underbara bild på din skapelse i senaste Lantliv. Helt underbar!!! Thought about giving You a hand in translating to estonian made me wonder ... Verkstad the same word in Estonia is värkstuba. But to think of it would we use the word verkstad = töötuba instead. Elderly people use the word = värkstuba. Blomster is -lill... Lilletöötuba does not really seem to work. But if You say Lilleseadja värkstuba - we estonians will say wow. Lilleseadja is the one who makes flower arrangements. Thank You for making us to think of mothertonque. in French "fleuriste" is the personne doing the flower arrangement. The place were you do the flowers arrangement would be "l'atelier des fleurs" ?! ressebrJag har sett lite olika försök på Holländska!! Bloemist är ju som sagt personen som sammanställer allt som har med blommer att göra. Bloemenzaak är det samma som blomsteraffär i Sverige. Eftersom namnet blomsterverkstad inte används i all allmänhet på svenska heller,(vad jag vet) tycker jag att på Holländska skulle det bli bra med "De Bloemenwerkplaats". 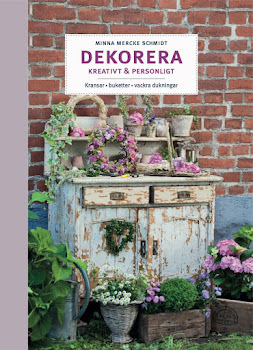 Det speglar mer ditt kreativa användande av svenskan när du har valt att kalla ditt lilla himmelrike Blomsterverkstaden. Jag tänker på garage-verkstad. Samma har du på Holländska, garage-werkplaats. Milde tider det blev långt !! Hur som helst har du en fantastist inspirerande blogg !! in Polnisch heisst es "Pracownia florystyczna". Ihre Kunst gibt mir Glueckgefuehl. Jeden Tag schaue ich mir Ihre wunderschoenen Sachen an. Danke, dass es Sie gibt. In found that in polish it's very hard to find exactly that word. It can be Kwiaciarnia, as a place where you can buy flowers (mostly cut one) so your Blomsterverkstad is more like Pracownia florystyczna. a place behind a house where you actually work with wood usually, but not only wood. You use and keep tools there. På norsk heter jo din vakre blogg nesten det samme som på svensk. I Norge har vi to skriftspråk. 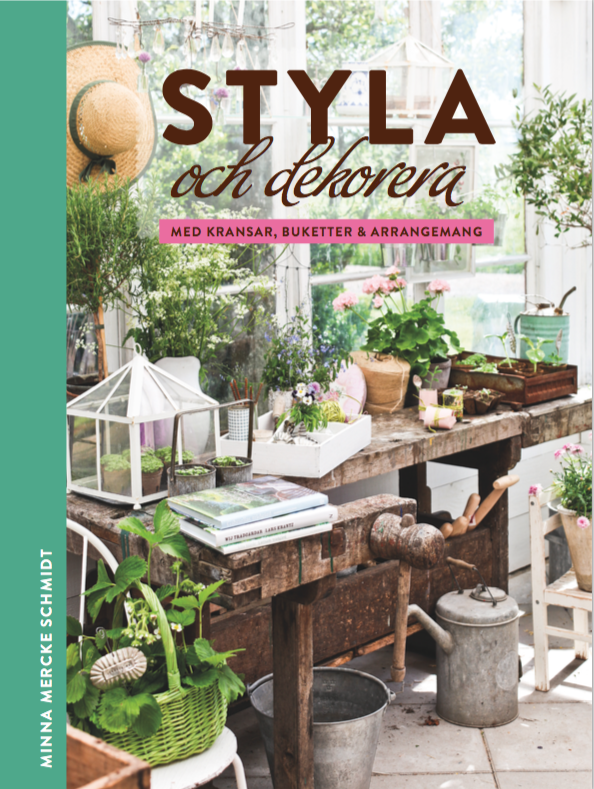 På bokmål heter det Blomsterverksted. Bokmål brukes hovedsaklig Øst og Sør i Norge. På nynorsk heter det Blomsterverkstad eller Blomeverkstad. Nynorsk brukes hovedsaklig Vest i Norge. Hi Minna~ I think of the workspace as "the Potting Bench" for flowers and plants, much like a baker's bench would be in a bakery or pastry shop for kneading bread or forming shapes of rolls. Fioraia is the word for the person(woman)and Fioraio(man). La fioraia(fiore is flower)than a lot of shops here have names like:Maflower (where i go to buy)..I like a lot all your wonderful creations and i am weekly on your blog to be inspired..
Italian and I think "Vivaio"is the word you're looking for..
My compliments for your beautifull blog..you're in my links. In our Edwardian house ( 1896) a very small room near the back door was described to us by the owner, as ' the flower room'. I was puzzled as there is no water supply in there and now we use it as a cloakroom, but I still like to think of it as a flower room.